California currently has six waivers that are open to children, including a new waiver for developmental disabilities. However, the Pediatric Palliative Care Waiver is ending and all participants will be transitioned in 2019. All other waivers are HCBS 1915(c) Medicaid waivers, and these programs waive parental income. For general information on California's waivers, see this list of waivers. 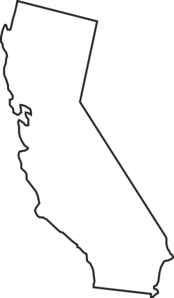 California also has several adult-only waivers, including Assisted Living, Multipurpose Senior Services Program, and San Francisco Community Living Support Benefit. Note: This waiver is slated to be ended, with transition beginning in 2019. Target Population: Children who are medically fragile or technology dependent with life-limiting conditions, and who live in the following counties: Alameda, Los Angeles, Marin, Monterey, Orange, San Francisco, Santa Clara, Santa Cruz, Sonoma. Description from medicaid.gov: Provides care coordination, home respite care, personal care, expressive therapies, family counseling, family training, out of home respite care, pain and symptom management for medically fragile and technology dependent individuals, ages 0-20. How to Apply: Waiver is ending. Waiting List: California has 2100 people with physical disabilities and 20 children on its waiting list. Target Population: Children and adults who are medically fragile or technology dependent. This waiver is designed to transfer individuals out of institutions, or prevent imminent institutionalization. Description from medicaid.gov: Provides case management, habilitation services, home respite, waiver personal care services, community transition services, comprehensive care management, continuous nursing and supportive services, developmentally disabled/continuous nursing care (DD/CNC) non-ventilator dependent services, developmentally disabled/continuous nursing care- ventilator dependent services, environmental accessibility adaptations, facility respite, family/caregiver training, medical equipment operating expense, PERS installation and testing, personal emergency response systems (PERS), private duty nursing - including home health aide and shared services, transitional case management for medically fragile and technology dependent individuals, ages 0 to no maximum age. How to Apply: First apply for Medi-Cal. Then contact your county social services department to apply for the waiver. Target Population: Children and adults who are medically fragile or technology dependent. Description from medicaid.gov: Provides case management/coordination, habilitation services, home respite, waiver personal care, community transition, environmental accessibility adaptations, family/caregiver training, medical equipment operating expense, PERS-installation and testing, PERS, private duty nursing-including shared services, and transitional case management for medically fragile and technology dependent individuals, ages 0 - no max age. Waiting List: California has 2100 people with physical disabilities and 20 children children on its waiting list. Description from medicaid.gov: Provides behavioral intervention services, community living arrangement services, day service, homemaker, prevocational services, respite care, supported employment individual, dental services, home health aide, occupational therapy, optometric/optician services, physical therapy, prescription lenses and frames, psychology services, speech, hearing and language services, financial management service, chore services, communication aides, community-based training service, environmental accessibility adaptations, family support services, family/ consumer training, housing access services, non-medical transportation, nutritional consultation, personal emergency response systems (PERS),skilled nursing, specialized medical equipment and supplies, transition/set up expenses, and vehicle modifications and adaptations for individuals with autism, DD, IID, ages 0 to no maximum age. How to Apply: First apply for Medi-Cal. Then contact your Regional Center to apply for the waiver. Waiting List: California has 20 children on its waiting list. Description from medicaid.gov: Provides community living supports, employment supports, homemaker, live-in caregiver, prevocational supports, respite services, acupuncture services, chiropractic service, dental services, home health aide, lenses and frames, occupational therapy, optometric/optician services, physical therapy, psychology services, speech, hearing and language services, financial management service, independent facilitator, behavioral intervention services, communication support, community integration supports, crisis intervention and support, environmental accessibility adaptations, family support services, family/consumer training, housing access supports, individual training and education, massage therapy, non-medical transportation, nutritional consultation, participant-directed goods and services, personal emergency response systems (PERS), skilled nursing, specialized medical equipment and supplies, technology, training and counseling services for unpaid caregivers, transition/set up expenses: other service, vehicle modifications and adaptations to individuals with autism, DD, IID, ages 0 to no maximum age. How to Apply: Attend an informational meeting to get on the interest list. See this Enrollment Page for more information. Target Population: Children and adults with mid to late stage HIV/AIDS. Description from medicaid.gov: Provides enhanced case management, homemaker, skilled nursing (licensed vocational nurse), skilled nursing (registered nurse), attendant care, home-delivered meals / nutritional supplements, Medi-Cal supplements for infants and children in foster care, minor physical adaptations to the home, non-emergency medical transportation, nutritional counseling, psychotherapy, specialized medical equipment and supplies to HIV/AIDS individuals, ages 0 to no maximum age. How to Apply: First apply for Medi-Cal. Then contact the AIDS office to apply for the waiver. Waiting List: California has 70 people with HIV/AIDS on its waiting list. In-Home Support Services (IHSS): a program that allows parents, relatives, and friends to care for children and receive pay.